Our well defined quality management system helps us to deliver superior range of blankets, yarns and rugs that are manufactured as per the defined quality norms. Manufactured from both WOOL-MARK certified & imported raw material, our products are subjected to several quality checks that are diligently monitored by our quality experts ensuring zero-defect products. Capital Woollen & General Mills shall consistently strive towards optimum productivity through intelligent and enlightening team work, maintaining positive work culture and by involving all our employees, large family of customers, suppliers and business associates. We shall endeavor for zero defect by incorporating the concept of "Do it right first time" and we ultimately move towards total quality management by continuous training of our employees, with an attitude directed towards continuous striving for improvement. 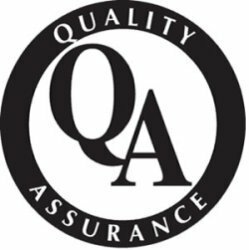 Our well defined quality management system helps us to deliver superior range of blankets, yarns and rugs that are manufactured as per the defined quality norms. Manufactured from both Wool-mark certified & imported raw material, our products are subjected to several quality checks that are diligently monitored by our quality experts ensuring zero-defect products.